Last week (October 3, 2011), one of my favorite artists so far this year and - in my opinion - one of the best new artists of 2011 released his debut album via Island Records. Born and raised in Devon (United Kingdom) and with a certain penchant for classic 60s and 70s singer/songwriters like Bob Dylan, Joni Mitchell and Richie Havens which he picked up from his very musical parents, this 24-year old British "acoustic troubadour" and "keen surfer" dropped out of a Journalism course at Falmouth College (six months before graduation) in 2008 to pursue music full-time. The outcome - three years down the line - is a recording contract with the label home of the likes of legends such as Nick Drake and John Martyn, a BBC Radio 1 playlisted single in the very excellent "Keep Your Head Up" which we will explore much later, an army of devoted followers that have led to numerous sold-out headline gigs in not only the UK but also in France, Germany and Holland and a fifty minutes long 10-track debut LP that is one of the BEST ALBUMS OF 2011... His name is Ben Howard and the album is called Every Kingdom. Recorded in a converted barn in his hometown Devon with Howard's cellist and vocalist India Bourne and producer Chris Bond who is also on bass and drums, Every Kingdom boasts of perfectly crafted Acoustic/Folk songs with amazing melodies, compelling songwriting from Howard and beautiful musical arrangements from the trio (Howard, India and Chris) - who have been playing, recording and gigging for a long time that their chemistry and awareness oozes out of every song on this album - from the album's opener and lead single "Old Pine" which is backed by lush guitar solo arrangements and Howard's rootsy and tender vocals to the final track "Promise" which frustratingly bubbles under for about fifty seconds before Howard and India's vocals intertwining with the gentle guitar strings and India's delicate cello arrangements prove to be all the more worthwhile making for a more that fitting album closer. One of my early favorites from Every Kingdom is the album's third and current single which was released back in August and playlisted on BBC Radio 1 - the sublime and exquisite "Keep Your Head Up". 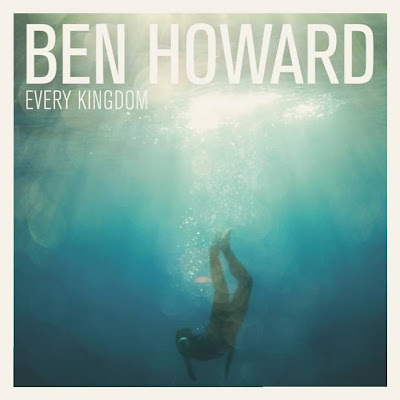 Uplifting and empowering both in lyrical content and musical arrangement, this song is the closest Ben Howard comes to "Radio friendly" but while that term may ordinarily conjure up not so pleasant conceptions, "Keep Your Head Up" lands very very far from that sentiment - on the opposite side on the spectrum even. This song - kicking off with lush guitar strums to gel well with Howard's husky and rich vocals, ascending cello and drum arrangements that crescendo brilliantly and an instantly sing-along hook - will draw you in completely and hold you captive to the "Feel Good" - not like it would ever be against your will. "Diamonds" - the second track off of Every Kingdom after the opener, "Old Pine" - is another early favorite of mine which not only shows Howard's excellent songwriting abilities that do amazingly to convey an entirety in little over four minutes and his certain knack for melodies that stick with you long after you've stopped listening but also perfectly displays his intricate guitar playing technique and the glowing synergy between him, India and Chris in bringing a record to life - India's backing vocals on carefully selected sections of Howard's verses and on the chorus only add to the enchantment of "Diamonds" along with the choral harmonies at 3:13 minutes that are deserving of every mention while Chris' drum arrangements are nothing short of impeccable. Speaking of impeccable, impeccable or rather impeccably is how Ben Howard manages to convey the warning and very profound message on "The Fear" over the most rapturous of musical backdrops. Where the lyrics of "The Fear" speak of worrying of losing the ones we hold dear, of living our lives "in the confines of fear" and of becoming what we deserve, the music of "The Fear" is a joyous blend of lush guitar strings, minimal and then soaring drum patterns and blissful harmonies and the combination of the two will leave you confused as to whether to dance uncontrollably around a camp fire or whether to call your mother and tell her that you love her - in the end, you just have to do both because Howard is so compelling in lyrics and in music. 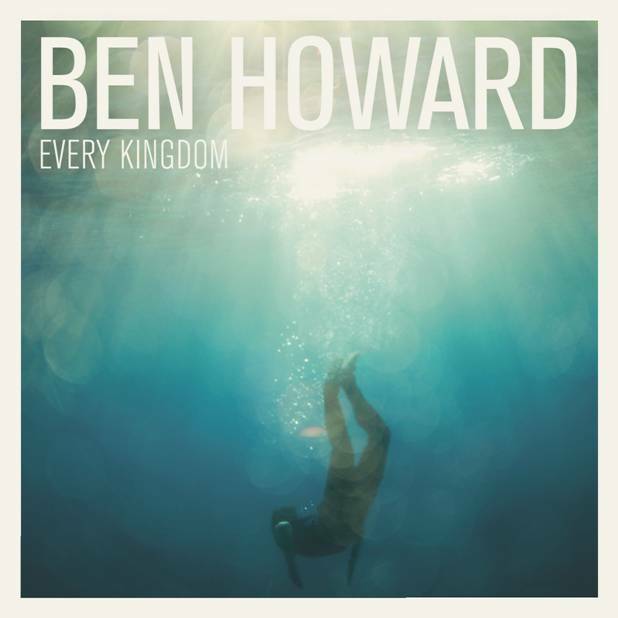 It is no wonder at all that Ben Howard's Every Kingdom debuted at at an impressive number 7 on the UK Album Charts announced yesterday (October 9). Records this excellent should automatically come with commercial success even though that is not always the case so we are more than glad for Mr. Howard but more pertinently, we are glad for Good Music. However back to Every Kingdom, asides the three songs we've carefully selected above to plug to you from this record and with the strong risk of now mentioning every other song on the album as worth checking out or immersing yourself in, we must at the very least mention the exceptionally written and sung "Everything" with it's gentle guitar play, adept minimalism, lush vocal texture and a wisdom in content that should be well beyond Howard's relatively young mind. Where "Everything" takes the minimalist route to talk brilliantly about the inevitability of change, another of our favorite songs and last week's iTunes Single of the Week, "Only Love" seems to be bursting through the seams with unreserved passion and emotion - from the raw and ascending guitar strings to the commanding backing vocals - about love! "Black Flies" - essentially a break-up song but told with such apt and grace and "Gracious" are excellent songs too. We don't do ratings here but if we did, Every Kingdom would sit very uncomfortably on 4.5/5 because of the real need for it to be rated higher than that - it is that good and that much more, the only reason it wouldn't get a straight 5/5 is purely because I have a tiny issue with the extra minute or so that was added to the album version of "The Wolves" (nothing against this version and the addition per se but it was fine as it was I reckon) but by God, does Every Kingdom not just ooze of all kinds of goodness. These songs feel so familiar to you and form a bond with you even after only a couple listens that you just see yourself listening to them again and again and again in the foreseeable or unforeseeable future. The truth of the matter is this - Ben Howard's debut album Every Kingdom is an amazing body of work and at ten songs that span only 50 minutes, it never feels too long or unnecessary protracted but with each song at four minutes or over (two songs lead to over six minutes), it doesn't too short either and each song let you marinate in it properly - it's message, it's story, it's feeling, it's emotion! It is a beautiful album! Ben Howard is on a SOLD OUT UK-wide tour this month and has just announced a Winter tour that will be kicking off in December and lasting all the way through to February and I implore you to please try and catch this young man and his band at one of those dates - make sure you buy the album right now not only so you can sing along when his tour comes to your city but also because it is as I said in the beginning, one of THE BEST ALBUMS OF 2011 - it will be WELL worth it!